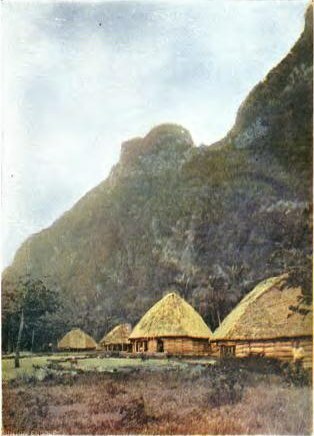 Olosega Native Village, Samoa 1896. Charles S. Greene (1856-1930) Publisher: San Francisco News Co. There are different theories about when the first inhabitants of the Samoan Islands arrived and where they came from. The oldest artifacts date back 3,000 years to about 1,000 BC. The first settlers arrived somewhere around this same time, leaving stone pyramids and star shaped mounds on the island of Upolu. Samoan legends maintain that the earliest settlers descended from the heavens. It is likely, however, that were of Austronesian origin and arrived in canoes. Samoa is often called the “cradle of Polynesia” due to the local belief that the island of Savai’i is the Hawaiki, or Polynesian ‘homeland’. The term also refers to the underworld, or the dwelling place of departed spirits. The islands of Samoa, Fiji and Tonga all have close cultural and linguistic ties and share a common ancestry with the Maori of New Zealand and the original inhabitants of the Hawaiian Islands. 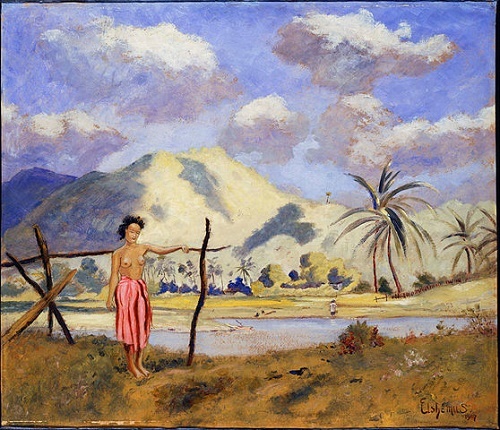 The first European to visit the Samoan Islands was Dutchman Jacob Roggeveen in 1722. The second European visitor was the French Explorer Louis-Antoine de Bougainville in 1768. 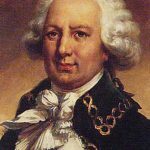 In 1787, French explorer Jean-François de Galaup, comte de Lapérouse stopped by for a visit and was attacked by the islanders which resulted in the deaths of twelve of his crew. These aforementioned visitors named the islands successively, the Baumann Islands (after one of Roggeveen’s crew), the Navigator Islands (the natives were said to be great navigators) and the Massacre Islands (needs no explanation). 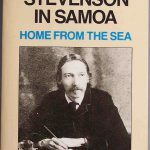 the idea of spreading Christianity worldwide, the reputation of the islanders as savage and warlike headhunters softened up a bit and Robert Louis Stevenson, who was to spend the last five years of his life as a resident of Samoa (1889-1894), described the Samoans as a ‘gentle people’. 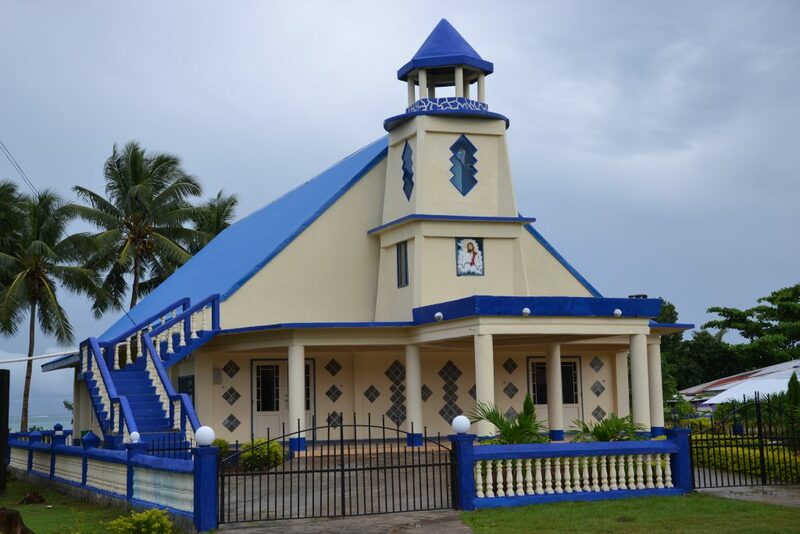 The missionaries had great success and as it turns out, Samoa is now one of the most devoutly Christian nations on the planet. Dried coconut, or copra, which is then processed into coconut oil, along with cocoa bean processing became thriving industries, attracting British, German and American interest to the islands. The islands of Tutuila and Manu’a became important to American commercial shipping interests. These powers were soon entangled in local politics, where rival factions fought over the question of who would be king. 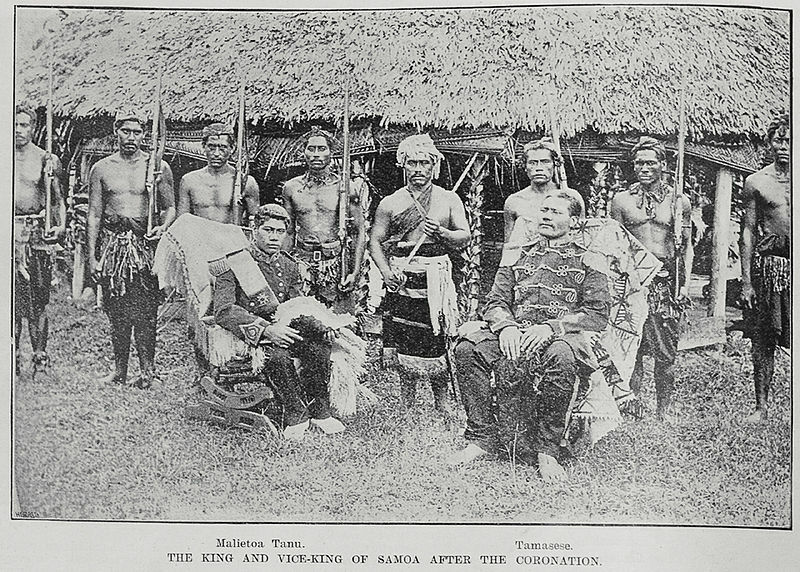 The First Samoan Civil War lasted from 1886-1894. King Malietoa Laupepa had lost power and gone into exile. One group of Samoans supported Tupua Tamasese Titimaea as successor to the throne, while another group gave support to his rival Mata’afa Iosefo. 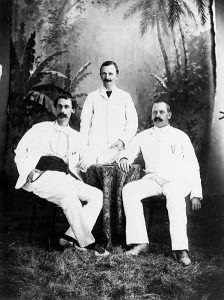 The Germans became involved, supporting Tamasese. The USA, on the other hand, supported Mata’afa. During the naval standoff known as the ‘Samoan Crisis’, the Germans and Americans had stationed three warships each in Apia Harbor. The British also sent one ship to monitor the situation. 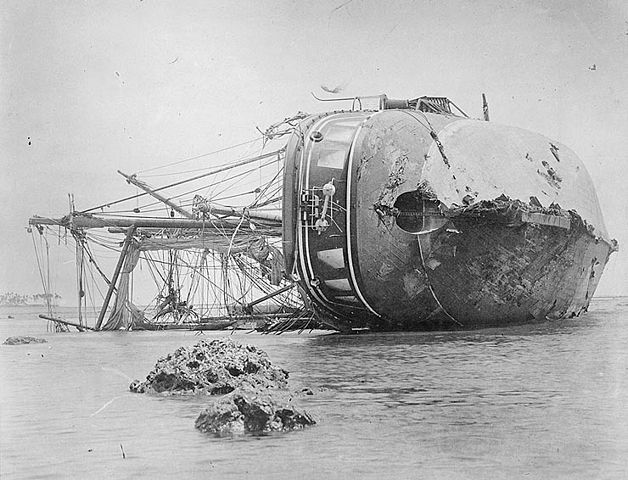 The crisis ended up being solved by another crisis, when the Apia Cyclone destroyed or damaged all of the ships. It was then decided that the exiled King Laupepa would be restored to power. 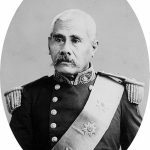 A Second Samoan Civil War broke out nine years after the first, when King Laupepa died. This time the Germans supported Mata’afa, while the Americans and British supported Malietoa Tanumafili I, the son of Laupepa. This war ended with the separation of the islands according to the Tripartite Convention of 1899. The Germans were given control of what is now known as Samoa, and the Americans received American Samoa. Britain’s part of the deal was that they received other territories in the South Pacific that had been under German control. 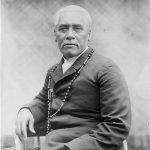 Mata’afa was given the title of highest chief. Tanumafili I ceded his “rights and privileges” to the German government, but had some of them restored after Mata’afa’s death and the surrender of German Samoa to New Zealand. 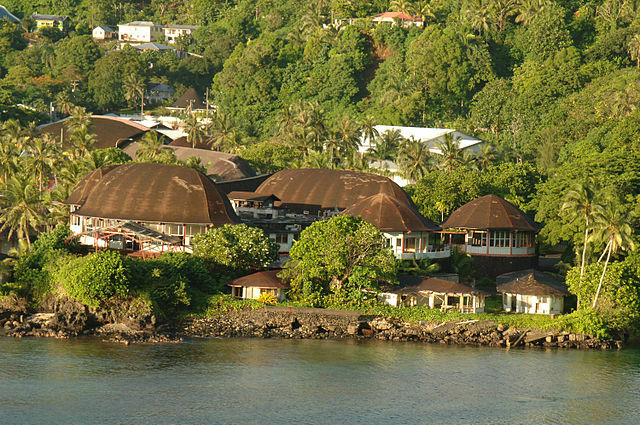 During the 14 years of German Samoa’s existence, much economic progress was made. When World War I broke out, however, the islands were immediately seized by New Zealand with the backing and encouragement of Great Britain. 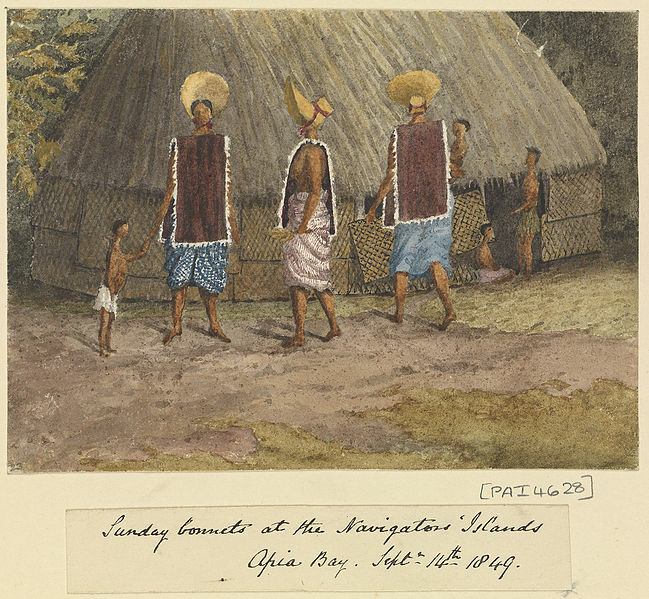 Although some, including Tanumafili I, were seemingly loyal to the New Zealand administration, a movement began which had the goal of independence in mind. This was the ‘Mau’ movement. 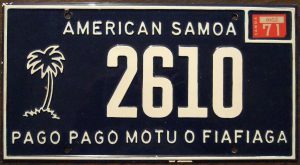 The word means ‘strongly held opinion’ and the Mau motto was “Samoa mo Samoa”, or “Samoa for the Samoans”. Resentment towards New Zealand escalated in 1918-19 when one fifth of the population fell victim to the influenza epidemic. The Talune, a New Zealand passenger and cargo ship had allowed sick passengers suffering from the flu to disembark in Apia. Samoa, as a result of this action, was one of the islands most affected by the disease. On the other hand, a decision by Governor John Martin Poyer to impose a quarantine in American Samoa, made him a hero. As a result, American Samoa was one of three places worldwide not to be affected by the epidemic. On December 28, 1929, an incident known as ‘Black Saturday’, where a Samoan chief and ten others were shot and killed during a peaceful protest occurred further fueling the independence movement. It was not until January 1st, 1962 that Samoa officially gained its independence, becoming the first independent small island country in the Pacific. It remains a member of the Commonwealth, which it joined in 1970. In 1997, the name Western Samoa, was officially shortened to Samoa. In 2002, New Zealand Prime Minister Helen Clark officially apologized to Samoa for the incidents in 1918 and 1929. In 2009, driving on the left side of the road became the law, and in 2011 Samoa jumped over the International Dateline by eliminating December 30. American Samoa continues to be a territory of the United States. Many have noted cultural differences between the two Samoas. One is that Samoans favor rugby and cricket, whereas American Samoans prefer baseball and football. During World War II, US Marines actually outnumbered the local population and likely are one reason for some shift in the local culture. Notable visitors to the American Samoan Islands include writer William Somerset Maugham, whose short story Rain, made into several motion pictures, was set in Pago Pago, as well as Eleanor Roosevelt, Lyndon B. and Lady Bird Johnson and Pope Paul VI. On September 29, 2009 an earthquake and tsunami devastated the islands. Apia was evacuated and its inhabitants escaped 46 foot waves by climbing to higher ground. American Samoa and Tonga were also hit hard in the 8.1 magnitude quake, the largest worldwide in that year. 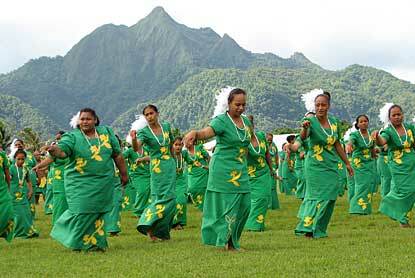 Today, Samoans continue to preserve their traditions and the fa’a Samoa (Samoan way of life). The beauty of the islands and their rich culture continue to make them an amazing and unforgettable destination.